This article is for informational and educational purposes only and is not intended as a substitute for legal advice. Consult a licensed attorney in your municipality to get the full legal definitions of contractors and employees in your municipality. One of the first things that I did when I started my business was to consult an attorney about personnel. With the nature of my business (IT Products and Service), I knew there would be an ebb and flow of work, so I wanted to take the most economical approach. 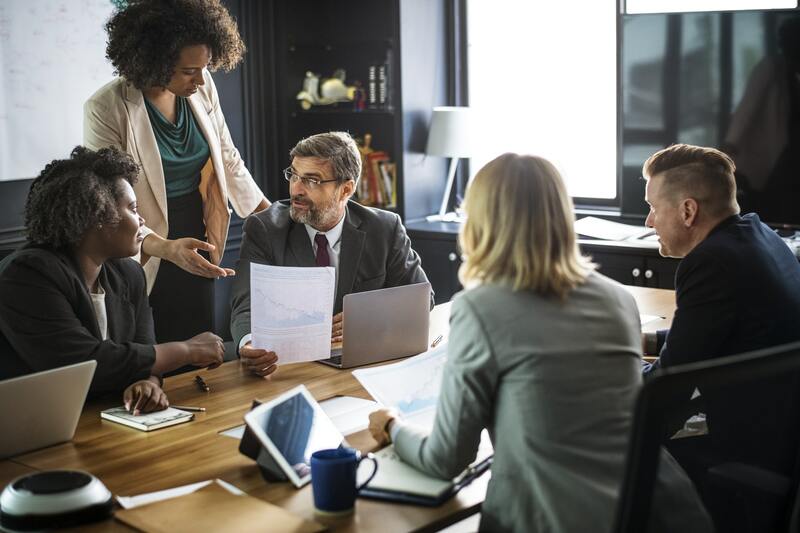 One would think that hiring contractors would fit the bill, but as the attorney advised, a business owner has to be very careful when working with contractors because it can start blurring the lines between what is a contractor and what is an employee. Around the time that I started my business, Microsoft recently lost a lawsuit from former contractors because the contractors were being treated as employees, particularly with being required to work additional hours without being paid overtime. Why is this an issue? If the worker is classified the wrong way, the business can get in legal trouble with the IRS, the Department of Labor, and possibly the worker for misclassifying the worker. 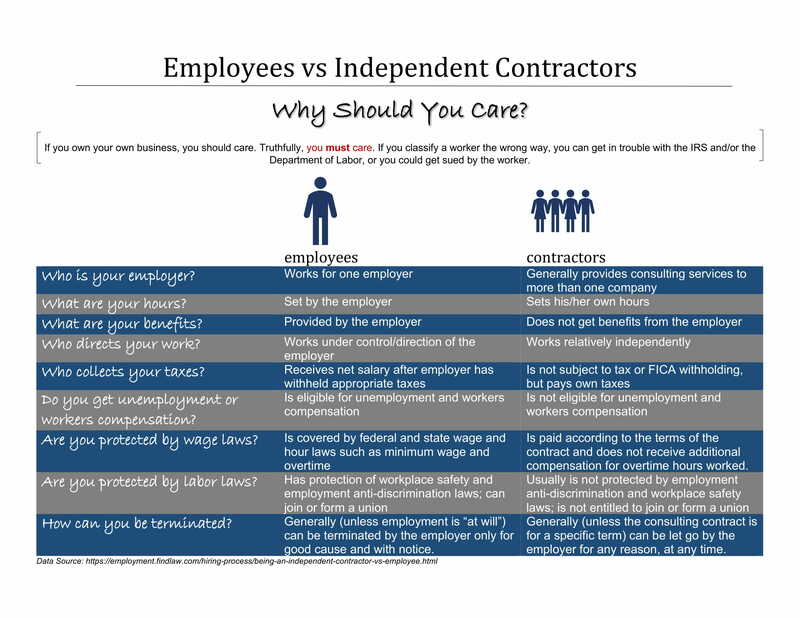 I created an infographic explaining the difference between employees and contractors. Click on the image to see the full image, and feel free to print and share with your management team. What are your experiences? Feel free to share in the comments.